HÀ NỘI — Việt Nam needs a number of large and medium-size firms in order to mentor and push forward small businesses, which are the backbone of a healthy economy, according to General Secretary of the Vietnam Chamber of Commerce and Industry, Phạm Thị Thu Hằng. She spoke Thurday in Hà Nội at a workshop on developing the private economy. “There will be leading enterprises standing on the top of the pyramid to direct other enterprises to push up the economy,” said Hằng. She said State-owned enterprise encroachment on private business operations must be minimised, and policies must be formulated to drive up the private sector and develop its competitive capacity. The seminar, jointly held by the Central Theoretical Council, Vietnam Association of Consumer Goods Development and Hanoi Business Association, was aimed at evaluating the situation of private economic development, breaking down barriers and creating conditions for the private economic sector to boost sustainable operation. Deputy Chairman of the Central Theoretical Council Nguyễn Văn Thạo said Party and State policies and mechanisms had created the legal basis and favourable socio-economic environment for developing the private sector. In the past two years, the startup movement had been accelerated. More than 110,000 businesses were established in 2016 – the highest figure in recent years. Employing 85 per cent of the workforce, the private sector grew at an average rate of 10.2 per cent per year in the 2003-15 period, contributing about 39-40 per cent of the country’s GDP. Thảo said the private sector had initially formed a number of large-scale private economic groups, but it had not yet become a key driving force for the economy because most business models were intended to turn individual households into enterprises. “A majority of private businesses are operating on a small scale, with low and out-of-date technologies and slow renovation. 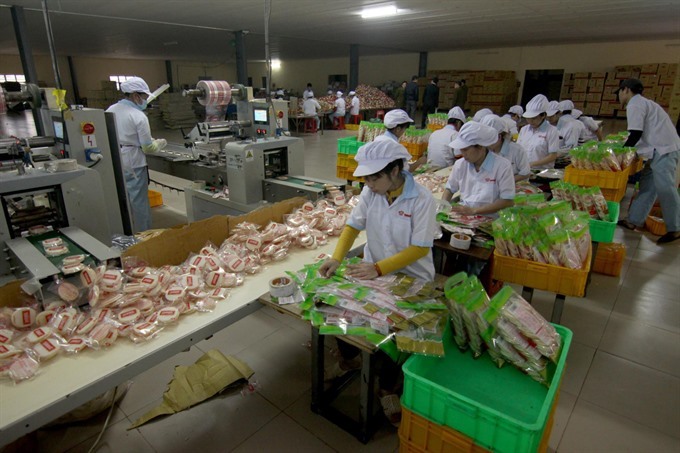 Their financial capacity, labour productivity, business efficiency, product quality and competitiveness are weak,” said Thảo. A presentation at the seminar reported that there are more than 80 per cent of private businesses operating in trade and services, over 10 per cent in industry and only 1 per cent in agriculture. Agreeing to the measures needed to develop the private economy, the rector of Việt Nam National University’s School of Economics and Business, Nguyễn Hồng Sơn, emphasised the importance of building and implementing national industry policies, which would focus on developing the private economy, encouraging the appliance of modern technologies and renovation and creativeness.